I've been a visitor of ExChrstian for a couple of years now and am a fellow de-convert. I just need to put this out to people who will understand my frustration. My college campus closed an entire parking lot, for an entire month, to allow a “theater group” called The 99 to set up their temporary theater, right before finals. That was upsetting enough, but it gets worse. Little did the college or any of the teaching staff know that The 99 is a Christian organization that uses fear and manipulation to “save souls,” (read convert people to Christianity). They present themselves as an organization concerned about teens who make “bad choices,” but their focus and their goal is to convert vulnerable young people into their religion. I started doing some research into The 99 and found a video of the founder, Terry Henshaw. He was speaking to a group of Christians and so he was very candid about the goal of The 99: To save this generation from hell. He revealed himself as an extremist Christian, but if you go to The 99 website, or read any of their brochures, etc., you would never know that. Strangely, after posting that video on my Facebook wall, it was taken down from Youtube and the church website where it originated. Google The 99 ! There is nothing. They are as covert as they come. I have no problem with Christians sharing their gospel. It’s a free country, but the hundreds of people that visit their event, have no idea that there will be “counseling” at the end. The 99 needs to come clean about who they are and what their goals are. I have sent letters to the Administration of the college and now I am waiting to see what else to do. I just can't believe they are getting away with this. 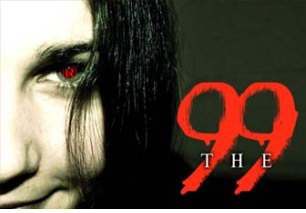 People need to know who real 99 is. Visit my blog if you want to know more.